NFU Scotland (NFUS) has warned while a further European dairy package is likely to offer short term support, it is unlikely to be the ’silver bullet’ needed to balance markets and drive prices. 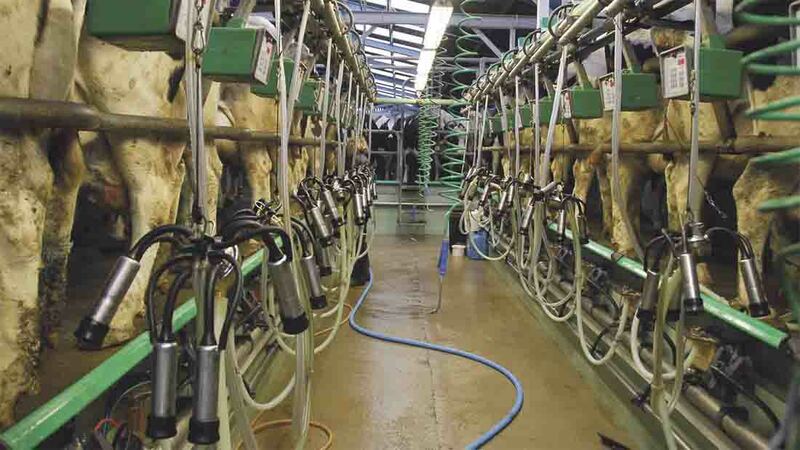 This message came at a joint meeting of dairy representatives from the UK farming Unions, in response to the announcement of Farm Commissioner Phil Hogan tabling further EU-wide dairy support measures on July 18 - indicating further support is likely to be linked to supply controls. George Jamieson, NFUS’ milk policy manager said the ’belated effort from the Commission is unlikely to be the silver bullet’. "Frustratingly, at a European level, we have been involved for months in debate regarding appropriate support measures for the dairy sector," he explained. "Agreement on where funding should come from and how it can be best utilised has been hard to nail down. "There is no doubt that dairy has needed help for many months now, and Hogan’s commitment to a package has been too long in coming. "Regardless of the terms, its scale is unlikely to be significant in comparison to the losses dairy farmers have been exposed to for almost two years." Mr Jamieson explained the debate on supply management at European level has so far failed to generate any coherent plan and provide any assurance which would have the desired effect of balancing markets and driving prices. He said: "There is a strong argument that supply management now may actually do more harm than good as production in Europe and beyond is declining and markets are slowly starting to turn. "NFU Scotland’s milk committee has discussed supply management options at length and although we have agreed that balancing supply with demand is very desirable, we can see no reliable policy to deliver this, given the global and even regional variables. "We will have to wait and see what the package options are and how much money is available. For hard working dairy farmers, it is unlikely that ‘business changing’ sums are involved. "National flexibility on delivering the package may ensure it is utilised in the most meaningful way." The current situation in Scotland’s dairy sector remains dire with an alarming number of dairy producers continuing to face prolonged losses. NFUS said it would continue to work banks and the Government to develop ’sensible long term planning and support for producers and are pressing processors and retailers to react urgently to the changing market signals and raise prices without delay’. Mr Jamieson said: "Although markets are turning, they remain some substantial distance from a return to profitability. "This is global issue, but the Commission, and both UK and Scottish governments have been slow in accepting the scale of the problems. "The priority, short term, is to support dairy farming businesses through the next year. The cash flow, and net worth of many are seriously challenged and while this package may offer some help, it is unlikely to be of a scale to resolve this. "Of benefit would be new ‘financial instruments’ which would offer dairy farmers, their banking creditors and the supply chain some assurance that their business plans are sustainable."